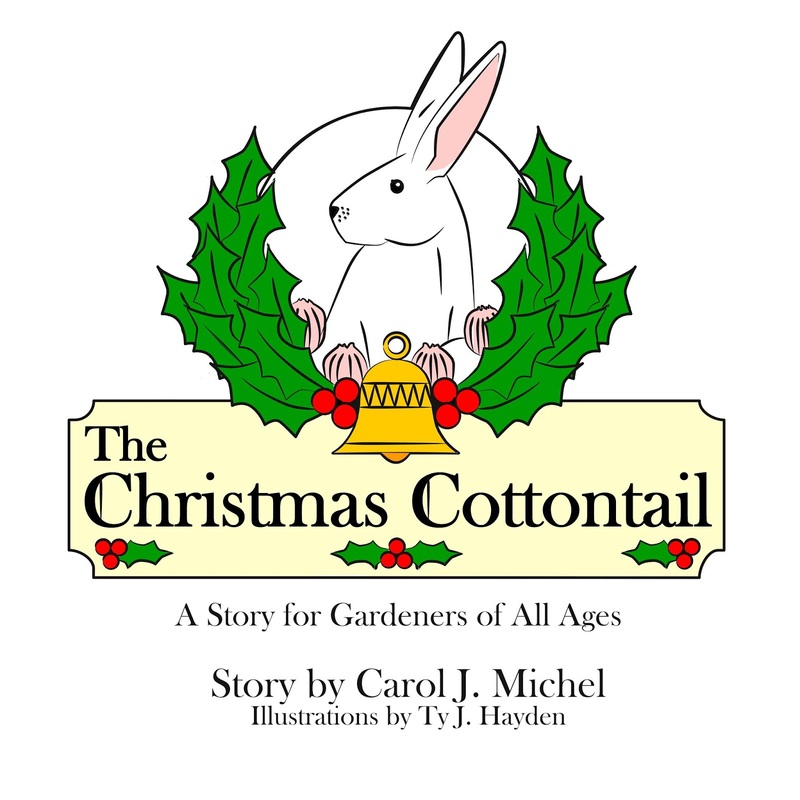 I finally have signed copies of my new children's Christmas book, The Christmas Cottontail, available in my online store for $9.99 plus $3.00 shipping & handling. If you order by December 15th, I'll make sure the books arrive before Christmas (U.S. addresses only). You can also buy The Christmas Cottontail on Amazon (affiliate link) if you prefer. Copies of my other books, Potted and Pruned: Living a Gardening Life, which won the Gold Award from GWA: The Association of Garden Communicators for Best Overall Book this year, and Homegrown and Handpicked: A Year in a Gardening Life are also available in my online store. 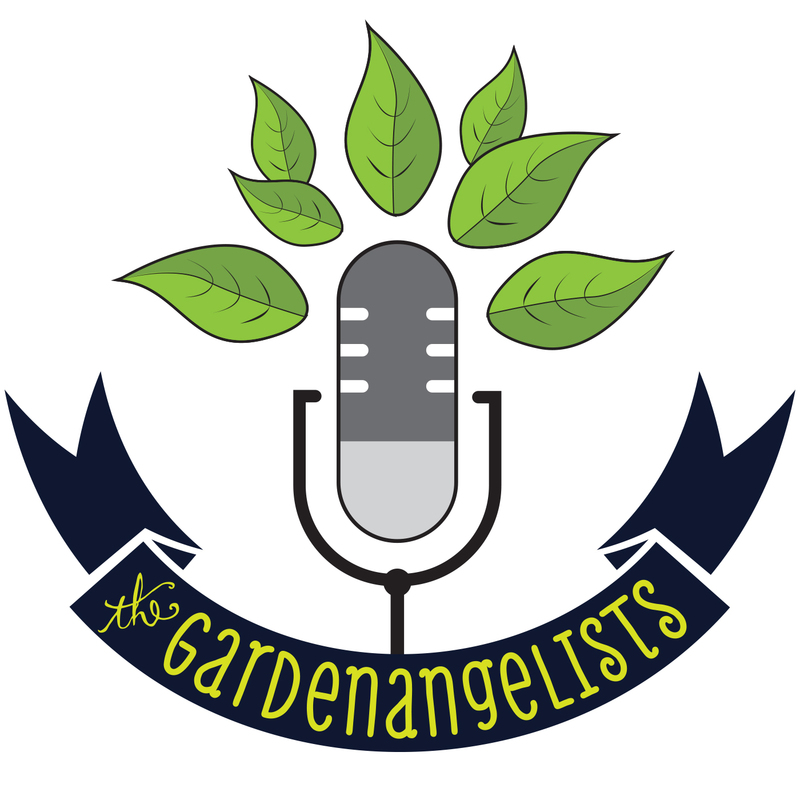 In other news, I invite you to listen to my weekly podcast, The Gardenangelists, with Dee Nash of Red Dirt Ramblings. We are getting ready for our fifth podcast episode this week and are having more fun than really should be allowed outside of a garden. You can also subscribe to the podcast on iTunes. Dee and I talk each week about "flowers, veggies, and all the best dirt." I tell people it is like listening to two old friends talking over their garden fence. Lots of laughs, lots of good ol' fashioned gardening talk. What else is going on here at May Dreams Gardens? I'm scheduling up several speaking engagements for this next year, in part to help launch my third book of humorous and light-hearted essays, Seeded and Sodded: Thoughts from a Gardening Life, due out in early spring 2019, but also because I just like to go out and meet other gardeners and talk about gardening! If you belong to a group and are interested in having me speak to them, let's get together and figure something out! And yes, you read that right! I am finishing up a third book of humorous and light-hearted essays to make it a trilogy. Then on to the next project. Can't wait to tell you more about it! I loved the Cottontail t-shirt in one of your recent posts. Is that also available for sale? Sorry, no T-shirts at this time but if I sell enough books and The Christmas Cottontail gets a bigger following, maybe in the future! Congratulations on all your achievements Carol. 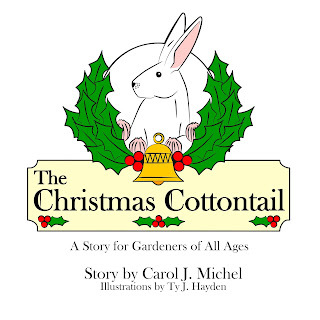 The Christmas Cottontail looks like a wonderful book for all! Wishing you lots of success!